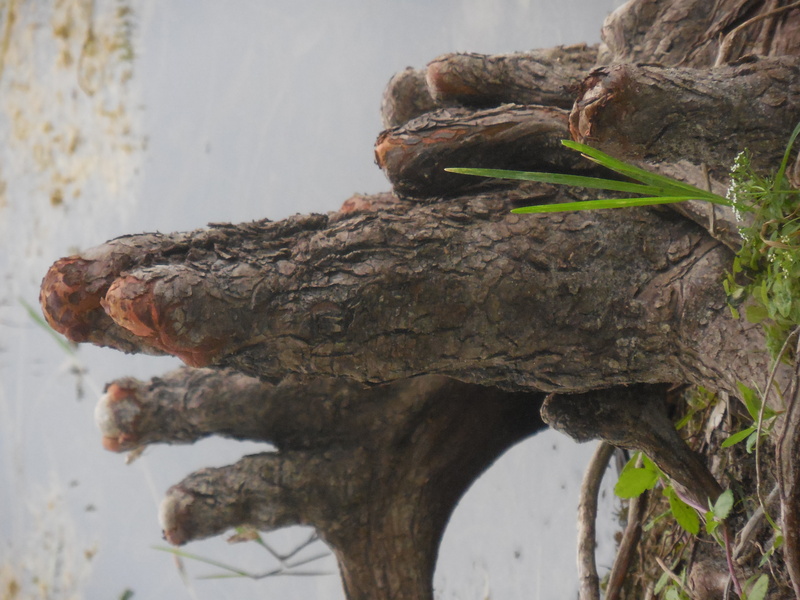 Bald Cypress knees - a common sight around here. 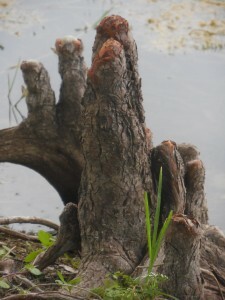 The Bald Cypress is deciduous, losing its leaves in the winter or what passes for winter here. 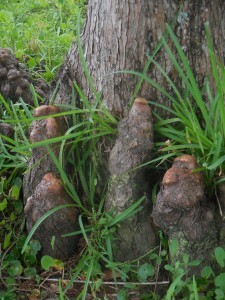 The knees are to give the tree more oxygen since they often sit with their roots in water or very wet ground. 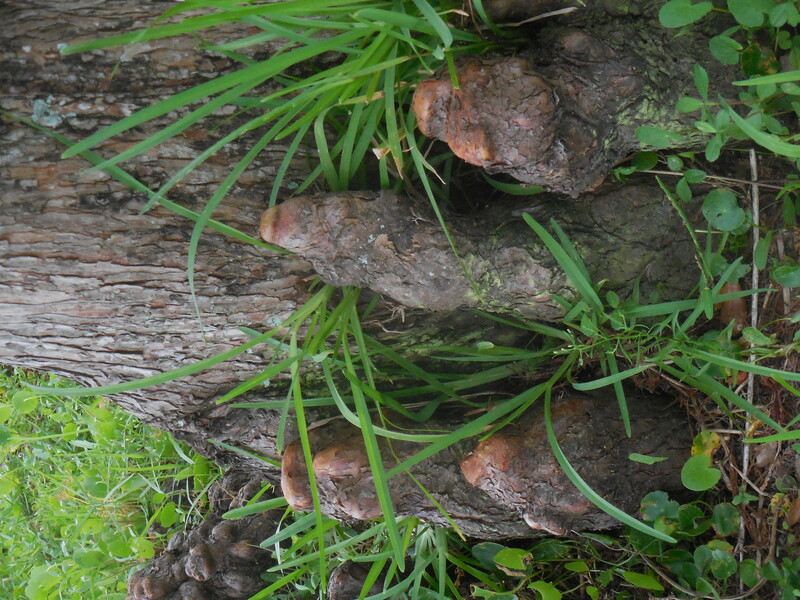 I have a bald cypress in my front yard but it has no knees, probably because it never gets swamped and has remained a small tree. It was a bad choice for my yard. We are actually on rather high ground for the area. I've always thought they were pretty cool even after living here for 35 years.